Whether it’s losing weight, eating better, sleeping more, or reducing the risk of sickness, to some degree we all want to be a healthier version of ourselves. When battling breast cancer or learning of a BRCA genetic mutation, the desire to get healthy and live healthy becomes a major concern. The tricky part about getting on a path to a healthier life is that there is an overabundance of mostly extreme information – from fad diets to cleanses and strange therapies. From my experience, I’ve found that women are hungry for accurate information...not extremes...but things that are within their control to further protect their health. To help our patients get the support and information they need to live healthy lives, I invite leading health experts to join the Patient Empowerment Program meetings to provide the most relevant and accurate to the groups. On Monday, we had a presentation about natural medicine and how to prevent illness through stress reduction and changes to diet and lifestyle from husband and wife team, Drs. 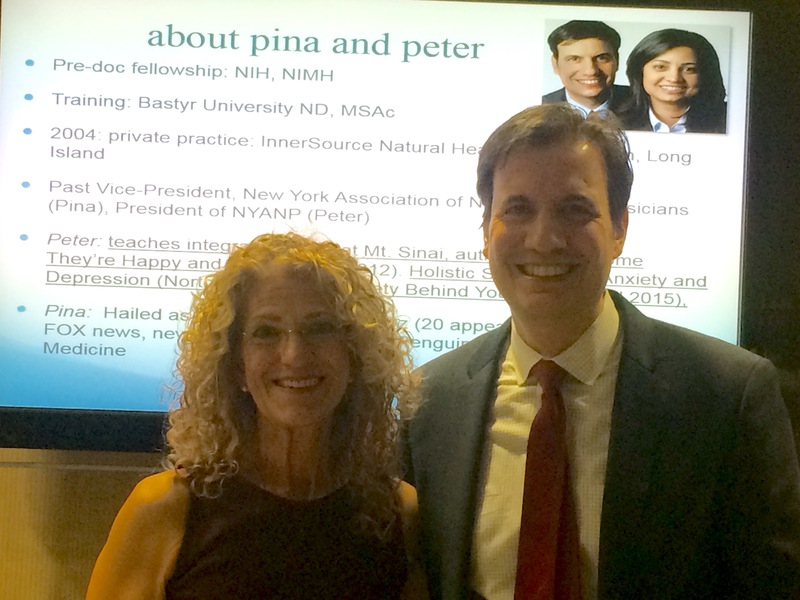 Pina LoGiudice and Peter Bongiorno, who are naturopathic doctors and licensed acupuncturists. I have known them for many years and they have always been generous in sharing their time and expertise with our patients. They exude a sense of calm and focus on integrative approaches rather than touting extremes. Drs. LoGiudice and Bongiorno co-direct Inner Source Health, the premier natural health center in New York, with offices in Manhattan and Long Island. Hailed as “world expert” by Dr. Mehmet Oz on the Dr. Oz Show, Dr. Pina LoGiudice appears frequently in the media as an expert in the field of natural medicine. Dr. Bongiorno is a leader in the field of naturopathic and functional medicine, and he is currently President of the New York Association of Naturopathic Physicians. The dynamic couple presented to a full house in our conference suite where they explored the environmental, genetics, food and metabolic factors that contribute to breast cancer. Then they discussed how to work with natural medicine to help prevent disease, how to stay as healthy as possible during cancer treatment, how to use natural health to prevent recurrence, and how to avoid interactions between natural medicines and conventional medications. 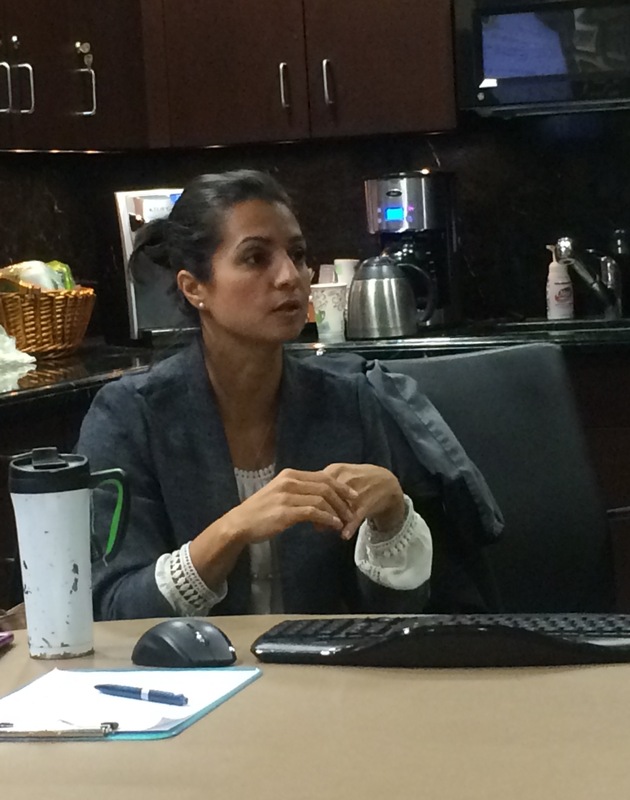 There was a lot of good information shared, and the group was very receptive to the simple messages relayed by Drs. LoGiudice and Bongiorno. We thank the doctors for their time and expertise.